Good Morning! 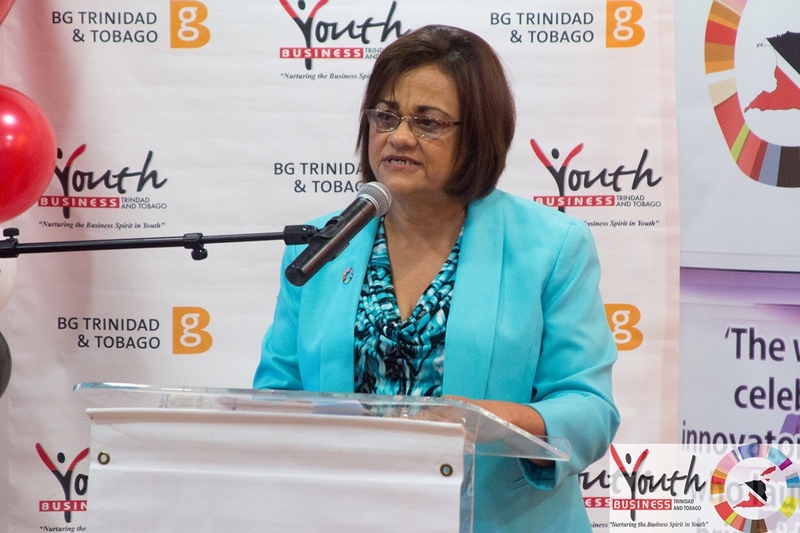 It is a great honour to officially launch Global Entrepreneurship Week 2015 – an event hosted by Youth Business Trinidad & Tobago (YBTT) that will be celebrated from November 16th to 22nd, 2015 in more than 160 countries around the world. “There has been a global explosion of interest in helping nascent entrepreneurs with brilliant ideas – but they need stronger ecosystems to help them unleash those ideas; through better co-ordination and collaboration, we are empowering the next generation of game-changing start-ups with the ability to scale globally.” These words of Jonathan Ortmans, President of the Global Entrepreneurship Network, which leads GEW each year, give context to YBTT’s plans as we host GEW for a sixth year. One year ago, we brought entrepreneurs together with the major stakeholders in the support ecosystem and the challenge to “Get Connected…Act Now”. This year our GEW theme is “Building Our Connectivity”! Research continues to show that entrepreneurs learn from interacting with one another, particularly at the early start-up stage. Our theme thus calls on our local entrepreneurs to continuously strengthen their connectivity by investing in their relationships, networks, and partnerships. There are a couple of new dimensions to GEW this year. One is our National Survey, “Public Perception of Entrepreneurship In T&T” in which we seek to discover how the wider national community perceives the services currently being offered by the support ecosystem stakeholders and to find out what additional needs exist. Our plan is to compile the results of this survey into a working document that we will then present to each stakeholder so that we can address the issues and gaps identified. Let me at this time extend sincere thanks and appreciation to the Unit Trust Corporation of Trinidad and Tobago who has agreed to support us in this initiative. At the core of GEW 2015, though, is a series of activity-based events that give entrepreneurs the opportunity to connect, learn and use the skills needed to grow their businesses. We start next Friday, November 6th, with “GEW On The Promenade”, a Connectivity Event that brings entrepreneurs and support organizations together to show and talk about their products and services. the many opportunities for creative entrepreneurship that this sector offers, particularly to young entrepreneurs and will give particular focus to the Fashion Industry, 3D Animation and our national instrument, the Steelpan. Fifth and Sixth Form students from selected secondary schools across T & T will join us for this Symposium. We are privileged to have as our special guest speaker, Lisa Wickham, CEO of Imagine Media International Limited and one of the EY Emerging Entrepreneur of the Year finalists in the T&T Chamber’s 2015 Competition. In addition several of YBTT’s own creative entrepreneurs, including Joshua Mangroo and Brian Benoit as well as one of YBTT’s Mentors, Alicia Charles, who will facilitate a “Creative Entrepreneurship” workshop. And welcoming this year PLOTT, the Powerful Ladies of Trinidad & Tobago as well as the Rotary Clubs of Maraval and St. Augustine. We at YBTT intend to continue the entrepreneurial conversation beyond November 22nd and into 2016 as we celebrate our fifteenth year as an NGO. Our message to T&T’s young entrepreneurs is that we believe in you. Your creativity, innovativeness, passion, determination and courage are the qualities that will make you successful as entrepreneurs. YBTT’s role as a support organization is to join with policymakers and others in the ecosystem to create the enabling environment that supports your efforts. Let me end by saying a big thank you to you all. We are all partners in the entrepreneurial ecosystem sharing a common goal to support our young entrepreneurs to start-up, scale-up, strengthen and sustain. Let us continue to collaborate to ensure that more and more young people know that the support ecosystem exists, see it as relevant to their needs, have a quality experience every time they access it and have a steady supply of success stories to motivate and empower them. To the members of the Media this is a special thank you for your support in telling our story. At the end of this event, we will provide you with a comprehensive list of the GEW 2015 stakeholders and their schedule of activities.